On the mound Albany State will be lead by returners Michael Reddick, Roman Oliu, and Jordan Griffin. Expecting junior college transfers Malik Barrington and Blaylor Galice to be big contributors as well. Last season, Benedict College stole its 2000th base in Young’s nine year tenure and led the NCAA in stolen bases per game for the seventh time in nine years. The Tigers also led Black College Baseball in stolen bases for the 9th year in a row. Offensively, they have 18 returning players from last season along with four redshirts. Last year was a growing year for a mostly underclassman team. These are the core hitters for the 2019 team. Young looks for them to have a great year offensively as well as defensively and also to be very aggressive on the basepaths. Top returners Joey Macaluso 9 home runs, hit over 300. Christopher Harper Infielder also hit over .300 and stole 27 bases and looks very impressive in the fall. Myles Snype outfielder/LHP also hit over .300 last year, Darian Willams redshirt catcher/RHP hit over.300 in 2017 and returns. Transfers TreVohn Jeffery St Augustine’s first base, Sterling Smith Indiana Wesleyan outfielder and Murrell Martin Bluefield College RHP. The Tigers have 19 pitchers on their new and improved pitching staff. This is the most pitching depth that they have ever had at Benedict with a strong crop of freshmen in the rotation. New recruits Jorge Baez Outfielder, Raul Vargas RHP andJared Carter RHP will get playing time. Heading into the 2019 season the baseball program focus has been to create a culture that the players and alumni can be proud of. This year the Pantherswill be led by a senior class that has shown excellence and leadership on-and-off the field. The teams’ success will depend on a combination of senior pitchers and senior position players. Dillon Parker (LHP)has been a three-year starter and we look to him to lead our program in the right direction in his final season. Two position player transfers, Garardric Dobbs and Edzaviah Paul, will be looked upon to help Claflin in a big way. Both Dobbs and Paul bring junior college experience, can play multiple positions and both swing the bat well. Two freshmen who have shown improvement throughout the preseason and caught the eye of the coaching staff are Angel Morel (RHP) and Malik Sadler (INF). They will be a great addition to the depth of our team, and will compete for playing time right way. Clark Atlanta baseball program has a lot of athletes, multiple players that can play different positions but most can play their secondary position at the same caliber as their primary. Going into the 2019 spring season they will carry the same hunger from the end of the 2018 spring season being as though made it into the SIAC playoff brackets for the first time in a 10 years. The team is returning 15 players from last year’s record setting squad. Those returning players include Anthony Nettles P/OF who finished the 2018 campaign 8-3 3.51 ERA while also tops in the league in Strikeouts. Jordan Johnson SS/P while only 2-5 on the mound he lead the team in ERA at 3.32 Jordan also batted .302 4 home runs 26 runs batted in and 5 doubles.Calvin Butler C/OF led the team in HR and returns in a more Leadership role, Antonio Watts 2B finish hit .300 and backbone of the pitching staff is Catcher Ayrton Gijsbertha poised to have a big year. Ceontae Brandon defensive specialist in CF enter his senior season with something to prove. Edward Waters return 17 players from the 2018 season. Out of those 17 returners, 6 starting position players and 4 starting pitchers. The 2018 team will be led by three 4 year starters Will Boggs that will see time at shortstop and the outfield; Tyler Rich at 3rd base and Wyatt Reid at 1st Base. The pitching staff is returning 10 quality arms that will be asked to do it all. Coach Johnson is looking forward to having both RHP red-shirt Sophomores Julio Flores and Tyler Sessions back from Injury. Coach Johnson is very excited about this year’s recruiting class which consist of six junior college transfers and 6 quality freshman that will play a vital part in the season. The junior college transfers are Marcus Judd MIF (Central Florida State College), Alfredo Torres OF (Seminole State College), Damani Thomas OF (South Florida State College), Joseph EischenRHP/OF (Pasco Hernandez State College), Kenneth IsenburgC (Hillsborough State College) and Alonzo Knowels RHP/OF (Central Lakes Community College). Each player is coming from a quality program with experience and much needed leadership qualities. The freshman class is led by Levi Sigler from Jacksonville Florida projected to start RHP with two other freshmen that will look to play a huge role are both RHP Marco Trejo from Mexico and Noah Santiago from Central Florida. All three pitchers are coming in with big game experience that has allowed them to perform on the college level with great ability. A big loss for Florida Memorial, HBCU Baseball Small School Player of the Year Sergio Chil bat. If they can make up for Sergio offensively and get better quality pitching overall, they should be poised to have a good season. Still very young in certain key positions, hoping for some guys to step up at those key positions. This will hopefully be an exciting year for FMU Baseball. Pitching Coach Scott Olson will not be on the staff this year. Taking his place as pitching coach will be former MLB reliever and Marlins All-star closer, Antonio Alfonseca. 11 year MLB veteran, has shown dividends in Fall Ball. Coach Yuni Gurriel returns for another season as the hitting coach. He is the older brother of World Series Champion, Yuli Gurriel (Houston Astros) and Lourdes Gurriel (Toronto Bluejays). The Lions did some top recruiting for 2019. New recruits on the Hill Kelvin Rivera, RHP (Juana Diaz, PR) 6’4 195 (86-88, top 92-93), Acier Rodriguez, RHP (Miami Lakes, Fl.) 5’11 180 (84-85, top 88-91) and Malik Shinosaki, OF (Fukuoka, Japan) 5’11 165 (Great Baseball IQ) JUCO transfers Angel Colon, CA (New Mexico Military Institute) 3rd Team JUCO All American .446 batting average 9HR 50RBI 63Runs, Luis Rivera, INF (New Mexico Military Institute) – .344avg 6HR 41RBI 40Runs and Jouseph Renovales, OF (Broward College) .276, 21RBI, 38Runs, 21SB. Returning players making impact all top 3 arms return Christian Rivera, RHP, Edgar Aparicio, RHP Carlos Alcon, RHP along with hitters Yunior Sanchez, INF (2018 The Sun Conference All-Tournament Team Recipient) JR Raymond Guerrero, OF, Jocquel Perry, 1B, Axel Gomez, 3B (Freshmen Player of the Year 2018 Recipient, The Sun Conference), Raymond Guerrero, OF, Axel Gomez, 3B. This team was a blown call away from the Sun Conference and playing in the NAIA National Tournament last season. My 2019 pick to click. Returning hitters Cole Danielson .356 batting average, 10 homeruns 44 RBI, Chase Goldwater .359 average 4 home runs and 27 RBIs, Colton Anderson .273 3 home runs 20 runs batted in. 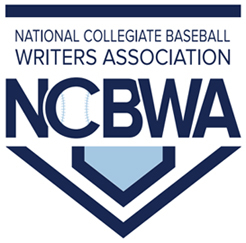 Returning pitchers HBCU Baseball Black College Nines small school Pitcher of The Year Stephen Wells – 1.76 earned run average 6-1 with 74 strikeouts in 77 innings pitched. Chase Goldwater 4.36 ERA 3-5 52 strikeouts in 43 innings pitched. Harris-Stowe will start several freshman this season for the first time since CJ Bilbrey took over as head coach in 2016. The Hornets will have up to six different freshman who will have an opportunity to play a significant role this spring. Most importantly five of the freshman had a GPA over 3.5 in the fall. There is a chance by the end of the season Harris-Stowe could have an all-freshman outfield as well as two more on the infield. The Jarvis Christian early predictions indicate an athletic team with what looks to be a very offensive minded ball club. Top returning arms give the Bulldogs a great chance, but Holochuck will need to see what the incoming freshmen can provide out of the bullpen and in the field. Top returnees are starting to provide punch to the lineup in fall ball. Top returning players Phillip Jones RHP/1st Base was closer in 2018 looking to earn a weekend starter role this year. Best arm talent in the program. Wyatt Jones RHP game three starter in 2018 battled injury at the end of the season, but looks to be healthy early on. Phillip Griego – RHP bullpen arm and mid-week guy in 2018 really good stuff that has improved each year. If he takes the next step this season, he has chance to be a weekend starter. Austen Pulcher Outfielder, all conference player as a sophomore last season has all the tools also battled injuries late last season or numbers would have been even more impressive. Has a chance to be one of the best players in Red River Athletic Conference (RRAC). Ismael Santos Utility played all over the field in 2018, plus leadoff hitter and a spark plug player. Top incoming transfers Anthony Orta LHP/OF do it all player will be a legit two way player. Was a JUCO All American at Brookhaven JC. Front end starter and can hit anywhere in a lineup. Luis Camacho Outfielder very physical player with tools from Frank Phillips JUCOC. Is a prospect. Looks to be in the middle of lineup. Abran Luevano Shortstop from Navarro JC has a high baseball IQ player who will be Gold Glove caliber infielder. The Bulldogs will have a lot of speed and power at the plate this fall. They will need pitching to perform well to compete in the rugged RRAC and get back to the conference championship. 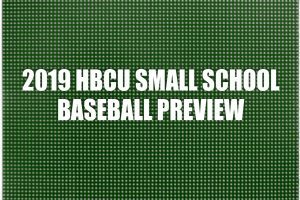 Kentucky State begins the 2019 season with high hopes fueled by a championship game finish in the 2018 SIAC Baseball Championship. The strength of the Breds will be in having the bulk of the starting lineup returning, joined by many talented newcomers expected to make an immediate impact. The ‘Breds return the entire starting outfield, led by two-time 1st-Team All-SIAC selection Cam Starks in left field. Starks hit .378 with 12 doubles, 2 triples and 4 home runs with 39 RBI. Jordan Ransom (9 doubles, 3 triples, 8 HR, 27 RBI) in centerfield along with Jay Poullard (.311, 10 doubles, 2 HR) in right field. Senior Russ Sims (.319, 5 2b, 2 3b, 4 HR, 27 RBI) will move over to shortstop, while sophomore Boo Thompson (6 HR in part-time duty) takes over at 1st base. Senior Artie Santomo, who played well as the starting 1st baseman in 2017, will move over to man third base. Three-year starter Bryan Wilson (.287, 8 2b, 1 HR) will start behind the plate, with junior transfer Chance Egnor joining Wilson in a platoon role. Senior Joe Crisp leads the way for the ‘Breds on the mound. Crisp posted a 6-8 record, but showed his leadership in throwing 15 innings over the course of 4 games in 3 days in the 2018 SIAC Tournament. He will be joined by conference starter sophomore Dom Lawson (4-2, 41 K/42.2 IP) in the weekend rotation, and Jordan Ransom (3-2, 3.54 ERA, 5 saves, 29 K/28 IP) returns in a closing role. KSU has several impact newcomers including De’Nayus Johnson, Solomon Reed, Jacob Kelly among others to take the ball on the mound for the ‘Breds. The biggest potential weakness for KSU will be in settling on a rotation and bullpen roles for the pitching staff. KSU returns the majority of a potent offense that averaged over 7 runs per game last year. If the defense can continue to improve and the pitching staff, which looks to be deeper than last year’s, can avoid injuries and settle into defined roles, the Thorobreds will be in the mix for the 2019 SIAC Championship. LeMoyne-Owen baseball team has a new head coach which led to a great fall workout. The transition of the new coaching staff headed by Patrick Newman meshed well with returning players and staff. There is a “New Energy” surrounding the baseball program. Last year’s record does not reflect what was seen on the ball field this fall. Look for the Magicians to surprise a few people this spring behind the leadership of C/INF/P, DeAnthony Baker, OF/INF/P, Caleem Serrant, and INF/P, Emari Mills. Taj Thompson looked solid at third base this fall. Jordan Rachman has improved tremendously in the offseason and is expected to play a big part as an infielder this year. Speedster, Tyquavious Noland is a big plus to the outfield. LOC also has a couple of valuable additions in INF/C/P, Robert Akines and local recruit incoming freshman INF Jamarion White. Jamarion White was one of the top players in the inner-city last year having graduated from Whitehaven High School. The strength of the Magicians is the flexibility of the team. Many of the guys play multiple positions well and with confidence, which enhances the team’s chances at success. Areas to be strengthened is pitching depth. We are looking to add to the depth of the pitching staff. This season, the Lincoln Lions will be making a change in conferences going in to the East Coast Conference (ECC) in the Northeast Region. The change will be a difficult one for them as they are going to compete against some of the toughest Division II teams in the country. They will be led this year by Senior 2B Aidan Gomes (Bronx, NY/LaSalle Academy), Senior LHP Marcos Castillo (Brooklyn, NY/HS of Telecommunications), Junior RHP Rolando Alvarez (Brooklyn, NY/Nazareth Regional), Sophomore SS Willie Hines (Bowie, MD/Bowie HS). This young team comprised mostly of freshman and sophomores will be looking to look past a disappointing 2018 campaign and look ahead in to 2019 with new faces and a fresh start. Newcomers Junior Transfer LHP Xavier Storey (Los Angeles, CA/West LA), Red Shirt Freshman RHP Ronald Gibbs (Brooklyn, NY/Bishop Loughlin), Red Shirt Freshman OF RJ Liverpool (Chesterfield, VA/Monacan), Junior Transfer C Maximo Guadalupe (Bronx, NY/Bluefield College), Freshman C Jared Thompkins (Mattson, IL/Rich Central), and Freshman UTL Kendall Bonner (Mattson/Rich Central) will look to improve the Lions depth and help give Coach Anthony Pla some options throughout the year. With all of the experience that the young players received last year, this looks to be a huge step up in a tough conference and region. Miles College Baseball graduated 12 Seniors including the SIAC Player of the year Xavius Burden, Utility player of the year Reeves Brashear, and Pitcher of the year Dylan Johnson. Freshman Jacob Bisharat was the Conference Freshman of the year and we expect him to lead the Golden Bears this year offensively and defensively behind the plate. This years recruiting class has a good mix of Junior college talent as well as High Scool players. Destin Davidson is a Junior college transfer, and is looking to take over as the everyday shortstop. Incoming Junior college pitcher Zavian Caldwell should be the pitcher to watch for the Golden Bears. Returning Pitcher Tanner Stinnett has increased his velocity and command look for Stinnett to be a breakout pitcher as a sophomore this season. Hard work and discipline describes this team, and I expect a great season from the Golden Bears. Can arms to hold up in 55 game schedule? The 2019 Rust College Baseball Team will have different look this season a 44 game schedule, under the leadership of veteran Coach Stanley Stubbs he brings a hard nose discipline style to the Bearcat squad which has been lacking in recent years. Stubbs also bring a wealth of knowledge from the professional ranks in which he has learned from several professional scouts/coaches which he prides himself in. Stubbs along with Coach John Bates was aggressive on the recruiting circuits bringing in a total of 45 players for the fall season. Strengths will be defensive depth with combo type players that possess plus tools at all positions. Offensively they will be able to play Stubbs style of baseball, where they play an aggressive style that puts runners in scoring position often, although they will be young in certain areas they still feel that they will be able to compete at a high level. Team Goals: To Make A.I.I. Tournament. Pitching depth is always question for the Bearcats even though they have 15 pitchers that can compete barring any injuries. JUCO Transfers INF/OF Claude Hayes Nunez CC, OF Jose Rosario St. Cloud CC,MIF Kevin Rodriquez St. Cloud CC, LHP Carlos Pierantoni St. Cloud CC ,OF/RHP Ahmir Mitchell West Okla St CC, OF Jarid Montgomery Grambling St Univ., C Tyler Winston Contra Costa CC. Incoming reshmen Jikari Martin, Shamar Bullard, Robert McDaniel, Justin Marshall, Tremaine Callaway, Jerrod Bibbs, Jordan Newell, Darius Taylor-Warren,Diego Martinez. Returning Players to watch: INF Jordan Robinson, Utility player Jeremiah Hendricks, OF/LHP Nick Durrah. Head coach Charles Whitaker will start a number of freshman this spring. Tweaking a couple position changes with some returning players should help the defense. They’ve upgraded the outfield with a transfer from South East CC and with two redshirts from last year. The infield will be better with two freshmen up the middle. Selma returns five starting position players from its USCAA Small College World Series Final Four team last season. Selma led the USCAA in home runs last season. Black College Nines Pre Season All-Elite selections Ricky Butts and Marcus Hardy look to lead the Dawgs back to the World Series again this season. Butts batted .356 for the reg. season and hit .400 in the USCAA World Series. Hardy hit .491 on the season, led the USCAA in home runs, was 3rd in RBI’s and was selected as a USCAA 1st team All-American. Selma also added 6’4 infield transfer Tregra Williams from Central Baptist College in Arkansas. The Dawgs return pitching ace 6’6, flame-throwing Derrick Sylve (88-93). Sylve finished the season ranked 3rd in strikeouts, went 2-0 in the USCAA WORLD SERIES with 14 K’s and holding opposing hitters to a .156 batting avg. He is the grandson of MLB legend Willie Stargell. Head coach Andrian Holloway is really excited about this team. “We have solid leadership in our upper classmen, and some young guys who have bought in and are hungry. They are on a mission to continue our winning tradition and making another post-season appearance (9th straight) at the end of the regular season. I see the fire in my guy’s eyes and that makes me work even harder to do all i can to prepare them for the season.” Other key returners: Trey Clark P, Brian Davison- C, Jamez McGhee- 3b, Undray Lawrence – OF. Impact Freshmen Alexander Humprey 6’2 225 lbs 1b/3b Dutchtown HS Ellenwood, GA, Boogie Cancel 6’1 175 lbs OF Freedom HS Orlando, FL, Kristian Martinez 6′ 170 lbs P Ridge Community HS Davenport, FL, Mike Sonn 5’10 180 lbs OF Westgate HS New Iberia, LA, Rashon Horn 6′ 180 lbs 2b/SS/P Clark County HS Grove Hill, AL, Jeremy Moore 6’2 205 OF Robert E. Lee HS Montgomery, AL. Top freshman’s Luis Berrios RHP from Puerto Rico, good command of the strike zone, good velocity, expecting a lot for him in the mound this season. Gialucas Lagrutta RHP from Panana is going to be one of the top reliever for Talladega this season he is a real fighter in the mound. Alexis Quevedo OF from Miami FL, good hitter put the ball in play with really good speed. Transfers Manuel Gonzalez C/1B form Mountain View CC really good on defense but his storm is the hitting, he did really good last season 5 home runs, .350 batting average. Ismael Martinez RPH For St Cloud Technical College, throw a lot strikes and good command of his secondary pitch and Alexis Ventura INF from Ranger College, really good defense and a strong arm puts the ball in play with really good speed. The 2019 Steers strengths will be returning eight .300 plus hitters of which seven are projected starters for 2019. Also, outfield play will be a strength with the addition of Savannah State University transfer Khalyd Cox who was a 2018 Perfect Game Summer Collegiate All-American (.368 avg 9 HR 32 RBI 15 SB 35 R) for the Utica Blue Sox. Leadoff switch hitter and returning 1st Team All-Red River Conference and Gold Glove recipient Cameron Phelts (Jr., Layton, UT .354 3 HR 31 RBI 12 Doubles 35 SB) will be the spark plug for an offense that boast him and Cox batting 1 & 2. The middle of the lineup will have two All-RRAC performers in infielders Josiris Del Orbe (Sr, Carolina, PR .379 avg 5 HR 39 RBI) and Kyle Smith (Jr., Iota, LA .376 5 HR 31 RBI). Captain infielder Hunter Babineaux (SR, .377 avg 2 HR 29 RBI 15 Doubles) will be anchoring the middle of the lineup behind Del Orbe and Smith. Along with this explosive lineup comes the addition of JUCO power hitting catcher Jordan Burnett (Soph, Cedar Hill, TX) who doubles as a skillful blocker and receiver behind the dish. The weakest link of the 2019 Steers will be the pitching staff which will have 10 underclassmen coming out of the bullpen. Ace of the bunch will be returning Texas Southern transfer Michael Traylor (RHP Jr, Freeport, TX) followed by a close newcomer Oscar Noguera (RHP Jr, Reynoso, Mexico). Noguera is a finesse pitcher that pitched in the Little League World Series for Team Mexico in 2011 in which his father is still the current coach. Rounding out the rotation will be Joseph Panalez (LHP Sr., Sugarland, TX). The top arms in the bullpen are Natahj Miller (Fr., Nassau, Bahamas), Jack Cress (So., Lexington, KY) and Cam Charman (Sr., Katy, TX). Team speed and putting pressure on their opponent on both offense and defense will direct the Steers in the right direction in 2019. Coming off the best season thus far in program history, the Bulldogs hope to continue to ascend to unchartered territory in the wins column. Last year, the team won 19 games, the most games won in a season since the revival of the program in 2002; including wins over Division I SWAC programs, Jackson State and Alcorn State University. The Bulldogs will need to replace key pieces after graduating 2018 Association of Independent Institutions (A.I.I.) 1st team All-Conference catcher Lige Mims Jr., A.I.I. 2nd team All-Conference third baseman Deshawn Pittman, A.I.I. 2nd team All-Conference outfielder Welton Hudson Jr., and starting pitcher, Ronald Russell Jr. The Bulldogs return 2018 2nd team All-conference A.I.I. second baseman Brandon Watson, A.I.I. Gold Glove winner, first baseman, Robert Lard and Black College Nines All-Elite team shortstop, D’Anthony Morrow. Experience will prove to be the Bulldogs major strength entering the 2019 season; with many of the projected starters having plenty of collegiate playing experience. The Bulldogs hope to receive major offensive contributions from transfers, Deontay Robinson and Tramone McNeal to compliment Morrow and Watson, who both lead the team in various offensive categories last season. Freshman pitcher and infielder Bradford Patton is anticipated to be a big difference maker and key contributor this upcoming season. The Golden Tigers have plenty of fresh faces and top returning players and some of them are already have an impact during Fall Ball practice. With their help, Tuskegee will get a much needed boost for the 2019 season. Coach Reginald Hollins is excited to build the line-up around these returning student-athletes. Top returners Ryan Green .302 batting average swiped 13 stolen bases in 16 attempts last season, Matthew Reed 2 home runs and 25 runs batted in, Elgin Woodside .280 batting average, 6 home runs and drove in 35 runs. They have a mix of speed and gap power that improved as the season progressed in 2018 and Coach Hollins expects each of them to pick up where they left off. Tayari Albright and Ronald McGhee will also be key contributors in the lineup. Returning pitching Tuskegee returns right-handed starters Christian Marshall and Nytorious Cooler. With the loss of Trey Nelson and Jordyn Thomas, Tuskegee looks to replace these two key starters. The Golden Tigers took a hit in the bullpen last year and struggled to finish games late. They are excited for the return of RHP Darien Brown from injury. Darien was key to success out of the bullpen, giving major innings during the 2017 season. Recruiting efforts signed four student-athletes to addresses some losses Tuskegee had on defense and holes they had in the bullpen last season. Relief pitching struggled to maintain the lead going into late innings of games. Golden Tigers have to finish and that could be a task towards conference championship time. The Virginia State University baseball team is very excited about the 2018 season. The Trojans return five starters from last year’s team, all-region outfielder Jahleel Sewer (.367 BA, 10 HR, 38 RBI), RHP/IF Jamar Hinton (.302 BA, 22 RBI, 6 Wins ) , IF Julian White (.329 BA, 23 RBI) ,OF Delmarcus Talley (.279 BA). and IF Sisqo Scott (.286 BA ). Pitchers Gerald Taylor (6 Wins), Jarren Norman and transfer Joshua Welcher (Louisburg JC) should give Virginia State some quality innings. The Trojans must replace all-region catcher David Markins. Sophomore Adarius Moody and freshman Liam Fahy will have to fill that void. Freshman Keyon Smith and Justin Nase should also give the Trojans a boost this season. Speed and offense should be the Trojans strengths. The team has overall depth, but must improve defensively. Voorhees Baseball looks to return to its 2017, 20 win form in the spring of 2019. This Tigers team is lead by seniors (P/1B/DH) Jake Cooley, (OF) Rodney Goldsmith, and junior (INF/P) Darrius England. The Tigers will also be expecting solid efforts by returns Jameaze McNeal (catcher) and Cramonta Snell (infielder). The most exciting part about the 2019 Voorhees College Baseball team is the incoming class of freshmen. On October 6, the Voorhees College Baseball team defeated the Claflin Panthers 6-5 in fall competition. The starting line up this day had five freshmen and a transfer sophomore. It is projected that the Tigers will have 5-6 freshmen starting when they take the field in early February against Bluefield State. Incomers Henriadam Brower and Miles McCoy are expected to start in the middle of the infield. Freshman outfielder Mario Sumpter and transfer sophomore Eugene Farrell are expected to start alongside senior Rodney Goldsmith. Pitcher/infielders Terrell Dent & Tyus Williams are expected to contribute to the team in both instances. Expect transfer 1B/C Logan Bostic to add depth at both positions as well as a big barrel in the middle of the line up. Freshman RHP Donnie Lauer has potential to solidify the pitching staff whether it is in the starter or relief/closer role. Biggest strength – Depth. two deep at each position with more than capable talent. Pitching staff is 12-13 arms deep. Biggest weakness – experience. Talent is there, but they will have to adjust to the college game. The 2017 Yellow Jackets were riddled with injuries and started 5 freshmen and 3 sophomores. That season resulted in only the 2nd losing season in 40 years at WVSU. The 2018 season saw huge improvements for the still young Yellow Jackets. Fans in Institute are excited now due to the fact that all those young players are now upper classmen and the Jackets are poised to be back in the national picture. Coming off a 28-22 season and trip to the MEC tournament, the Yellow Jackets have experience in virtually all areas. WVSU saw starting catcher John Cline, 2nd Baseman Brandon Wright and starting pitcher Colby Gainer graduate. However, a strong recruiting class and depth within the program should prove capable of being assets. Wiley College returns several players from last season’s team including starters Justice Brown and Tyler Baumann, who were Red River Athletic Conference Second Team All-Conference Selections Luis Santiago, Ruben Hancock, Darian Fleming, Dominic Tezeno and Markus Garza. Starting pitchers Brandon Bilnoski, Austin Rotramel and Noah Whitted are also returning. Key relievers Jon Michael Roberson and Joshua Simon will be back. Tezeno was the top hitter with a .361 batting average and top base stealer with 18. Justice Brown led the team with eight home runs, 34 RBIs and a .644 slugging percentage. Baumann had a career season offensively with a .336 batting average, six home runs and 21 RBIs. Bilnoski and Rotramel each won four games. Rotramel pitched six complete games and led the team with 51 strikeouts. Roberson was 3-0 in 14 appearances and one start. The Wildcats’ strengths will be experience and speed. The main weaknesses are depth and conditioning. Christian Biggs, Joe O’Bryant Jr. Rafael Reyes, Manny Torres and Carlos Torres could see action in their first seasons. There is a great reason for excitement regarding the 2019 Winston-Salem State University Rams baseball team. After coming off another successful season, the Rams will bring in a talented cast of newcomers with an experienced group of returnees who will look to its eighth straight season with a winning record. The upcoming season will offer some challenges for the Rams as the team will need to replace some of its top performers from last season. The Rams will be without former outfielder Randy Norris, who led the team in batting average (.437) and runs scored (53). The news isn’t all bad as he was drafted by the San Francisco Giants. The team will also be without third baseman Emilio Abreu who had a .402 batting average and tied for the team lead in home runs (10). Leading the way for the Rams will be a great cast of returnees that will lead the team. Junior catcher Cole Parks will lead the way for the Rams as he has the team’s highest batting average returning to the team this season. Last season, Parks batted .325 for the season with 32 runs batted in (RBI). He will be the team’s leader in both categories. Sophomore outfielder Luke Spiva will also return with a .314 batting average. Bringing the power back to the Rams will be sophomore short stop Wellington Guzman. Last season, he hit 10 home runs to tie the team’s lead last season. He also added a .369 batting average with six doubles and a triple. He also had 30 runs batted in as well. The Rams will also welcome a great cast of newcomers. The team will welcome in 14 freshmen and four more incoming transfers. Among the team’s incoming freshmen will be Layton Helms. He is a graduate of North Stokes High School where he earned Northwest 1A All-Conference honors in both 2016 and 2017. He was also an all-state selection in 2017. He is one of several newcomers that will look to lead the Rams this season. With such a great cast of Rams taking the field, the future looks really bright for Winston-Salem State baseball. 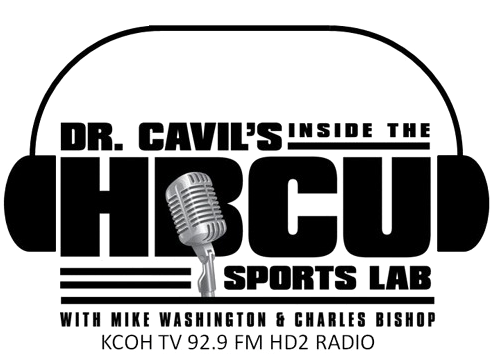 Fantastic overview of the HBCU small schools.I think they deserve the same notoriety as the larger schools, wish the games were streamed to those of us in states outside of the schools. Great Job !